2 IDENTIFICATION AND SIGNIFICANCE OF RED FLAGS. 4 IDENTIFICATION AND MANAGEMENT OF YELLOW FLAGS. You are about to go on placement or have recently qualified and are about to treat patients complaining of low back pain. Questions such as 'What do I do? '; 'What do I look for'; 'How do I do it?' may suddenly become overwhelming. 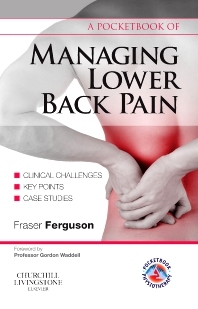 This pocketbook covers the examination, initial management and discharge options for patients with low back pain. It will fit easily into your pocket with information that is close to hand.